Recently in a coaching session, one of my clients shared that she had had a very productive weekend. After accomplishing all sorts of projects and tasks, all weekend long, she reported feeling relaxed, for a very brief period of time. Then she felt bored. She and her young son had made brownies earlier in the day. After dinner, her son asked if they could eat the brownies now. She said, “sure”. 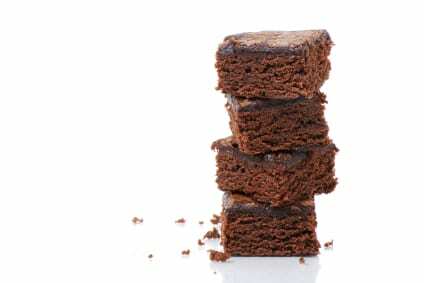 “I don’t like feeling bored”, said another client, the very same day I heard the brownie story. This very accomplished man told me about how he eats way too many cookies and milk most nights, because he’s bored AND he really looks forward to this time with his cookies and milk, every night. He said he didn’t think he could walk away from this old, nightly binge habit…and trust that his life could still be OK, or fun. So, I asked him if he’d be willing to “experiment”. One night that next week, could he choose to mindfully enjoy a handful of chocolate chip cookies and a glass of cold milk, viewing it as a lovely dessert…vs. mindlessly eating a larger number of cookies and his milk as a way to disconnect from feelings of boredom? During his next session with me he reported a variety of experiences with the cookies and milk. One night he sat down at the kitchen table and very consciously ate 3 cookies and his usual glass of cold milk. He made it a point to taste the cookies and he said he thoroughly enjoyed them and felt satisfied. Familiar to anyone? Mindfulness, intention, practice, with a little trust thrown in, is the recipe out of mindless emotional eating!